As a part of the Research School of Social Sciences at the Australian National University, the Australian Center for Social Research (ACRS) conducts and supports survey and empirical research on Australian society. The Center is mainly devoted to large-scale social surveys and qualitative research. Its research projects are organized under four main areas, each of them described in details and provided with its own website with retrievable materials. Social science data files concerning the entire country are provided, drawn from universities, market research companies, and government organizations. Overall, the ACRS website contains over 1,000 datasets related to Australian surveys and opinion polls, and population census data, as well as material from other countries within the Asia Pacific region. 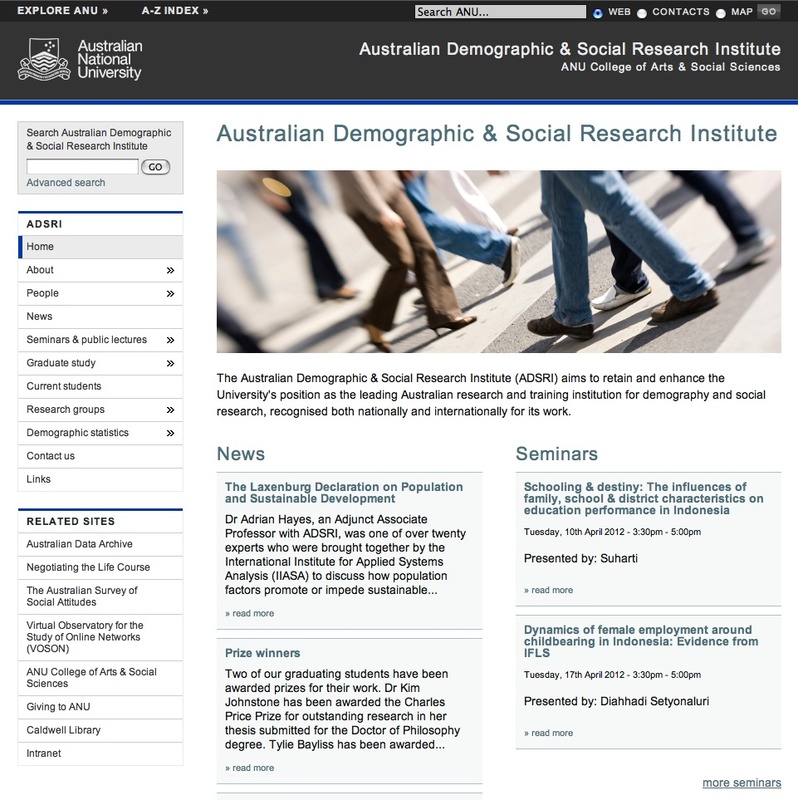 The ACRS website is integrated with the ASSDA’s, the Australian Social Science Data Archive, part of the international network CESSDA, and also with the Australian Survey of Social Attitudes (AuSSA) website. Therefore, many statistical and survey data are provided through this cooperations, and their access depends on the depositors’ policy. Documents stored in the archives are generally made available for secondary analysis. Search and downloading tools are provided in the integrated pages, while navigation in the ACRS main site is very effective.